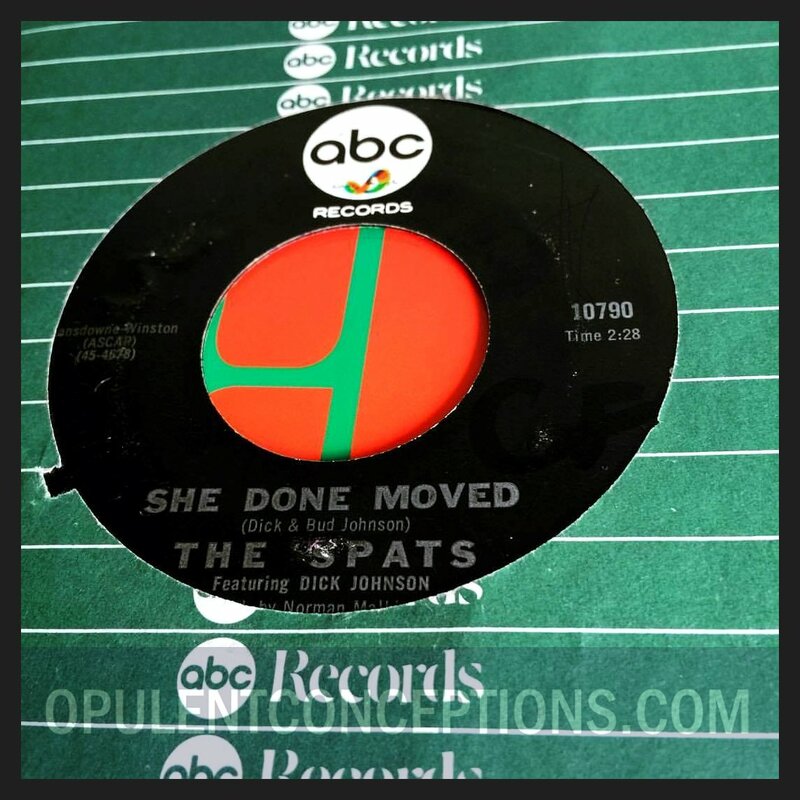 The Spats were from Orange County in California and "She Done Moved" was their fifth single. It's a hard edged R&B side with a tough rhythm section, proper drums, harmonica, tambourine and a spooky organ sound. It's been on plenty of compilations over the years but it's best heard on the magnificent 4 CD set "Where The Action Is" on Rhino Records. Both sides were recorded at the famous Gold Star Studios during February 1966.